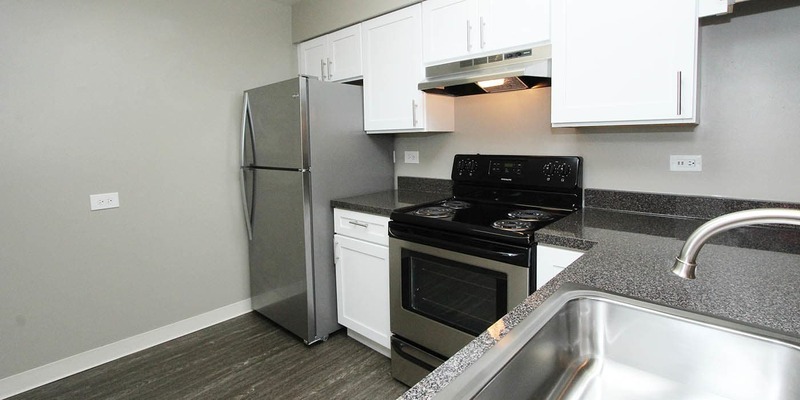 Whether you’re a university student learning at the College of DuPage, a busy professional employed at Navistar, or anyone in between, you’ll find a floor plan that fits your needs and your budget at Lakeside Apartments. Contact our professional leasing team to tour our one, two, and three bedroom apartments for rent in Wheaton, IL today. If you’re looking for the right apartment at the right price, look no further than Lakeside Apartments in Wheaton, IL. Our spacious one, two, and three bedroom apartments for rent offer all the modern conveniences you need to complement your lifestyle. You’ll love preparing chef-inspired dishes in your very own gourmet kitchen with stainless-steel appliances, handsome cabinetry, and designer hardware. To keep you organized, our apartments also feature generous kitchen storage as well as ample closet space with built-in closet organizers. Plus, some floor plans include a wood-burning fireplace, perfect for staying warm through those infamous Chicago winters.